See more Armani Prom and formal dresses. 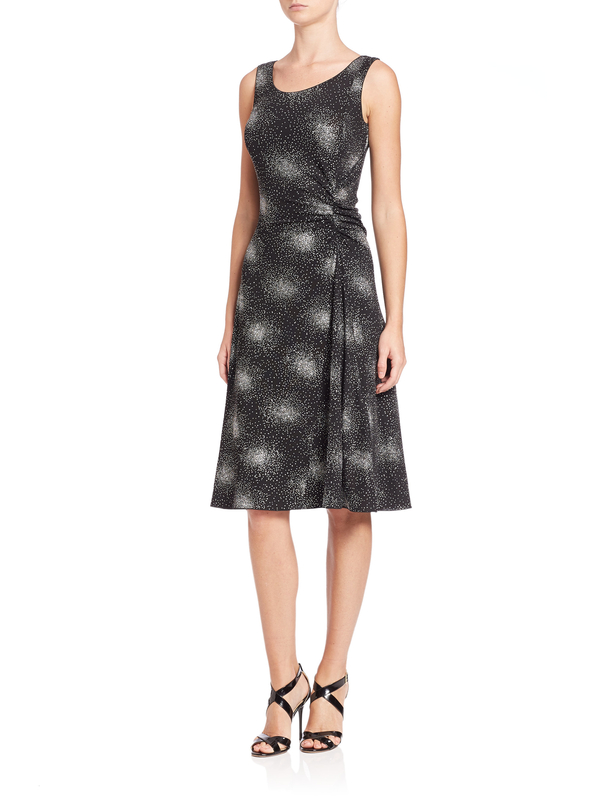 We check over 450 stores daily and we last saw this product for $263 at Saks Fifth Avenue. Side ruching flatters bold, shimmering jersey style. Scoopneck. Sleeveless. Ruched detail at waist. V-back. Concealed back zip closure. About 41" from shoulder to hem. Acetate/elastane. Dry clean. Model shown is 5'10" (177cm) wearing US size 4.